Here is an opportunity to restore a vintage Upper East estate, or remodel the existing home, and build and sell a new home on the adjacent lot. 221 E. Islay features a 4 Bedroom, 3 Bath, nearly 3000 sq ft, c1922 Traditional style home on a 13,068 sq ft (0.3 acre) lot. The home needs work, but would make a great project. The adjacent, 10,454 sq ft (0.24 acre) lot behind the home (a legal separate parcel), where the yard and tennis court used to be, could be incorporated to create a .54 acre estate/compound, or built out as a separate home. The home and additional parcel are available for $2,850,000. Agents, the sellers have installed a privacy fence along the driveway at 1721 Santa Barbara Street. Will be open on Sunday from 2 to 4pm. Please swing by and have a look, and send your buyers who are looking for a gorgeous home in the Upper East. This beautifully restored and remodeled 1895 Queen Anne Victorian is located in the heart of the Upper East. Remastered with a light and bright “Hamptons” flair by the design-build team “Art & Elements”, this sunny, stately 5 bedroom, 4 bath, 3175 sq ft home has brand new systems, including new foundation components, plumbing, electrical, HVAC, insulation, roofing, windows and fixtures; a stunning master suite with a private view balcony, fireplace and office nook with ocean peeks; a state-of-the-art kitchen; a living room with large picture windows and a fireplace; grand dining room; family-media room; and pantry. An all new addition matches the grandeur of the original house, while also creating the spaces enjoyed by today’s homeowners for closets, bathrooms, kitchen and storage…features that were often lacking in homes of that period. Home has a detached two-car garage with a row of Italian Cypress trees running between the house and the driveway. The home is close to State Street dining, arts & entertainment, and just a couple of short minutes from the Santa Barbara waterfront. 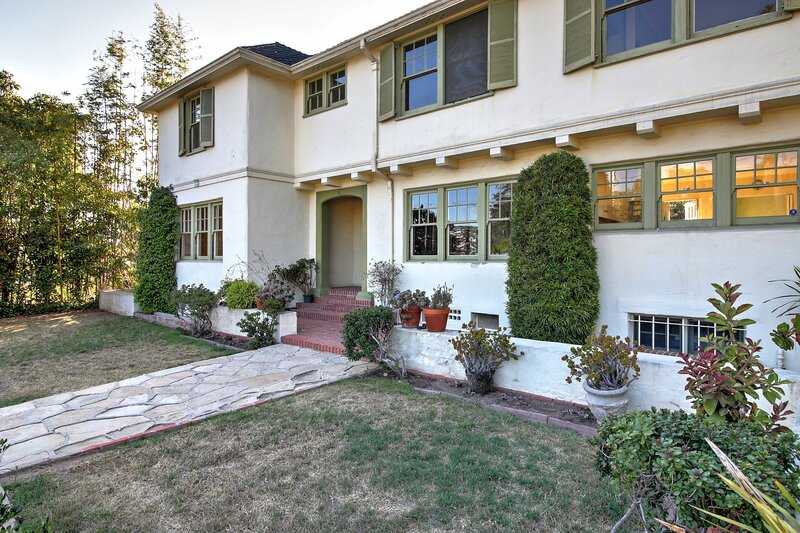 Also join us on Sunday 7/10 from 2-4pm – 1721 Santa Barbara St. This sweet freestanding condo just got sweeter! NEWLY PRICED AT $769,000 this 3 bedroom, 2.5 bath spacious charmer with fireplace is not to be missed! View the current real estate market in the Santa Barbara / Montecito area each week. We have separated the reports by zip code. If you are interested in a different zip code, or would like to view an extended report, please contact us and we will be sure to send those to you. Thanks! Imagine not needing your car! Located near shopping, dining, entertainment, popular attractions, parks, public transportation, a respected regional medical center (Cottage Hospital), and just 2 miles from white sand beaches, this ground level Villa Constance South condo features 2 bedrooms, 2 baths, spacious living and dining rooms, a built-in kitchen, private patio, and exposed hardwood floors in some rooms. This conveniently located unit faces the quiet interior of this pride-of-ownership,100% owner-occupied complex.Enjoy dining and shopping on the nearly-adjacent De La Vina Corridor, or dining, shopping, entertainment and culture on nearby State Street. And, you are just minutes to the harbor, beach, and the popular Funk Zone and Urban Wine Trail. This is a great choice for a Santa Barbara primary or getaway residence. For more information and photos please visit our website below. If you have any questions or would like to schedule a showing, please contact Paul at 805-680-8216 or Ashley at 805-618-8747. Thanks! Quietly Offered. Here is an opportunity to redo a really cool, ocean view contemporary, while living on the property in the fabulous, stylish new guesthouse and studio, and enjoying sunsets by the inviting pool and spa. This special, gated compound sits on 2.3 privacy-offering, gated acres. The sunny 2-bedroom, 2-bath main residence was built in 1986 and can be lived in as-is, or updated and modified to your tastes and needs. The separate new guest house features European styling and finishes in the kitchen and bathroom, as well as nano doors that open to a poolside dining area, an ocean-view outdoor cooking center, and an outdoor shower. The art studio features a high ceilings and large transom windows, nano-doors, and a full bathroom. Both overlook the ocean-view pool and spa. We have posted this weeks market updates for the Santa Barbara / Montecito areas by zip code. If you would like to be sent specific market information for your area, please let us know and we will facilitate these. Page link is below. We have also have included 2015 vs 2016 quarter one statistics. 1721 Santa Barbara Street will be OPEN EVERYDAY from 10am-5pm everyday. Please feel free to come by! If you have any questions, please call Paul at 805-680-8216. Vist www.1721santabarbara.com for more information & 3D tour of property.